A retinal detachment can occur at any age and in males or females of any race. However, it is more common in people over the age of 40. The retina is the light-sensitive layer of tissue that lines the inside and back of the eye. It is responsible for sending visual messages through the optic nerve to your brain. 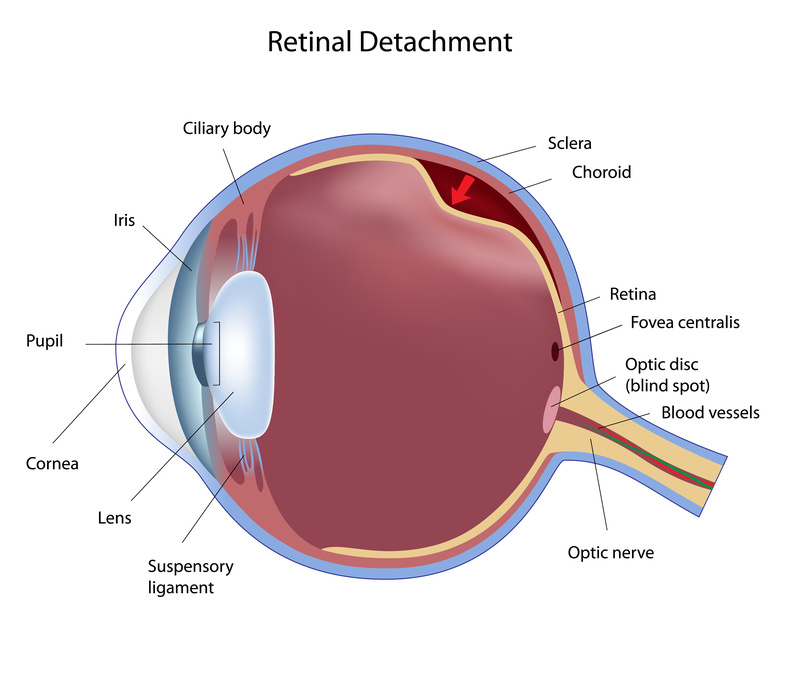 Retinal detachment occurs when the retina is lifted, or pulled, from its normal position. The result is vision loss if not properly and promptly treated. This is the most common type of retinal detachment. When a tear or break in the retina occurs, it can allow fluid to get under the retina and cause a separation from the retina pigment epithelium (RPE). This is not a very common type of retinal detachment. This type of detachment occurs when scar tissue causes the retina to separate from the retina pigment epithelium. Sometimes, even though there are no tears or breaks in the retina, fluid leaks under the retina. This type of retinal detachment is caused by retinal disease or injury to the eye. 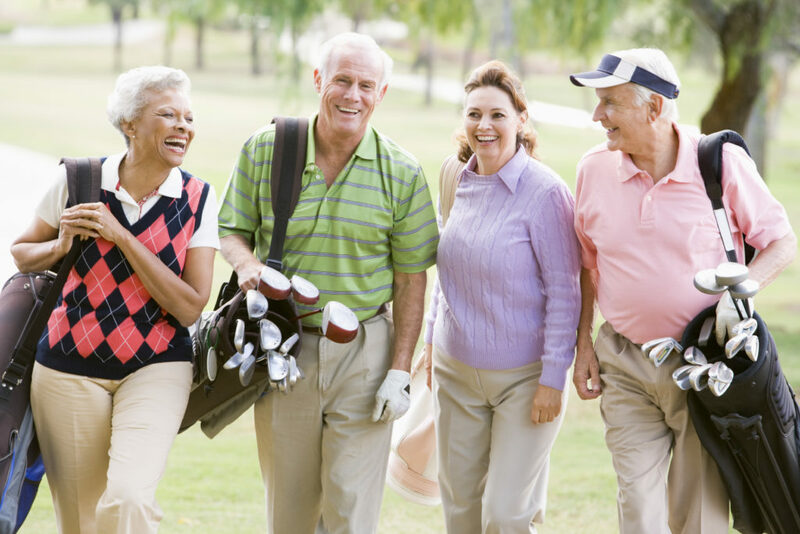 A retinal detachment can occur at any age and in males or females of any race. However, it is more common in people over the age of 40. It also is known to affect Caucasians more than other races. The most common symptom is a slow or fast onset of flashes and floaters. Floaters can appear as specks or cobwebs floating around in your vision. Flashes appear as flashes or sparks of light out of the corner of your eye. They are most often seen at night and are sometimes mistaken for lightning or a reflection off of glass. Some patients even described it as a curtain over a portion of their central or peripheral vision. If you only have a small tear or full detachment has not occurred, your Alexandria retina specialist can usually perform an outpatient procedure to preserve most of your vision. This can be done with a laser or a procedure called cryopexy. With cryopexy, your Monroe eye doctor freezes the retina surrounding the retinal tear. Both of these procedures help mend and weld the retina back in place. If the retina has fully detached, the only treatment is surgery, which is performed at one of our preferred surgery centers on an outpatient basis. The first option is to use a scleral buckle. Your Alexandria eye surgeon will use a scleral buckle that acts as a rubber band to gently push the eye wall against the retina. Another option is vitrectomy. This procedure removes the vitreous gel and replaces it with a temporary gas bubble, which holds the retina in place. The gas bubble goes away on its own. These procedures are performed under either local or general anesthesia in a surgical suite. After surgery, patients will need to position themselves most commonly facedown or lying on their side for five to 10 days. This allows the air bubble to press against the retina as it heals. Although inconvenient, this is a crucial step to the success of the surgery. With today’s technology and surgical skills of your Louisiana Eye & Laser retinal surgeon, the majority of patients with a retinal detachment can be successfully treated; however, some additional treatments may be required. For more information about retinal detachment, or to schedule a consultation at one of our 14 locations throughout Louisiana, call us today or request an appointment.